Hello Stampers! This month I am creating Christmas cards for A Scrap 'N Place. This is a quick Christmas card to make. I embossed the red cardstock and matted it onto a shimmery black cardstock. 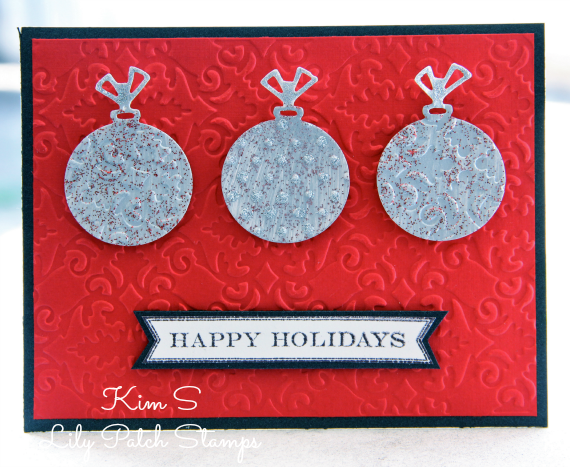 I used the Christmas ornament dies from Penny Black to cut out the shapes. I then used gray paint for the base then went over it with stickles. The ornaments are adhered to the card using 3-D foam tape.